The good news in terms of the statistics for motorcyclist injuries is that Americans suffered fewer of these types of harm or hurt in 2015 than in the previous year, 2014. There’s definitely something to be said about that. The bad news, though, is that there were injuries suffered, period, and there were nearly 90,000 motorcyclists injured. Worse still, there were approximately 5,000 motorcycle fatalities, that is, people who actually died due to a motorcycle-related accident. To be clear, the term “motorcyclist” as used throughout is defined as either the motorcycle operator or the passenger. That’s how the government’s road safety agency, the National Highway Traffic Safety Administration (NHTSA), defines it. The question that arises naturally is, how can these accidents be prevented? What are some commonsense steps that a motorcyclist can take to avoid being one of the above statistics? Get a helmet approved by the US Department of Transportation seems to be wise advice coming from the NHTSA and others. Some states demand it, while others have no mandatory helmet laws. Find out what your state’s requirements are in this area. However, regardless of whether it’s a law to have one, it’s smart to wear a helmet just as it’s smart to always wear a seat belt as a preventive measure, just in case. That one decision to wear a helmet—and yes at the risk of having the dreaded helmet hair—can be literally a life or death decision. Do you want to hear something that will be quite shocking? Not to be morbid, but hospitals get most of their organs from people who suffered a motorcycle fatality, and those organs from motorcyclists are the best because they come from people who were generally young and otherwise very healthy. In fact, so many organs result from these fatalities that motorcycles have been nicknamed “donor mobiles” or “donor cycles”—of course, many motorcyclists don’t find these names very funny at all. You already know how bad drinking and driving is. Well, drinking and operating a motorcycle is also bad, all the more so because you don’t have anything large shielding you the way car or truck drivers have large amounts of steel “encasing” that protects them from any direct hits. One false move can land you in a lane already occupied by a hard-driving motorist who lacks the quick motor skills necessary to turn on a dime and spare your life. Studies have shown how more riders die in motorcycle crashes when they’ve been intoxicated than in any other vehicle; in 2012, about 1-in-4 motorcycle riders were killed in such crashes while under the influence. It’s also against the law to drink and ride a motorcycle. Since motorcycle riders are more exposed than other motorists, it’s critical for them to be almost hypervigilant. Even if they do their part and don’t drink and ride and always make sure they wear a helmet that meets the DoT’s standards, that won’t prevent them from suffering a motorcycle accident injury due to the negligence, distractedness or recklessness of another motorist. An unwise motorist may be guilty of drinking and driving and could therefore pose a huge risk to the safety of motorcyclists. This point may not be a tip like the three previously mentioned points, but it’s related and should therefore be followed nonetheless. Sometimes an accident might occur that a motorcyclist may feel has nothing to do with their actions at all. In such cases, it might be a good idea to contact a trusted lawyer to figure out the best ways of handling the situation so that the perpetrator is held accountable and the most appropriate remedy is applied. 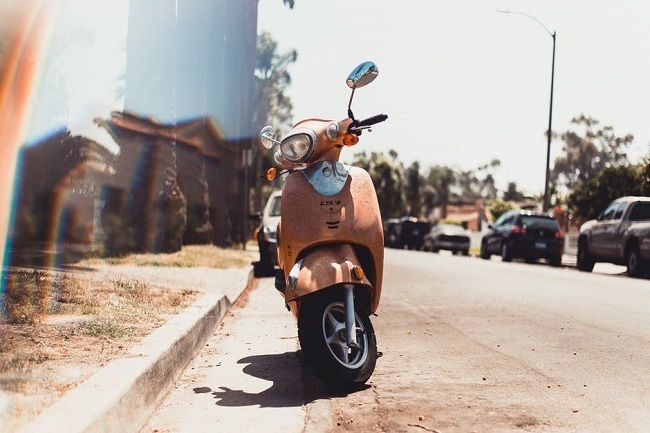 In other cases, even if the motorcyclist may seem on the surface to be the one to blame, that might not necessarily be the reality of the situation. Perhaps, the city or state is to blame for poor road signage regarding upcoming road construction being done, for example. Why run the risk of accepting blame right off the bat? Seeking the advice of a lawyer might reveal that the real sources of danger had nothing to do with the motorcycle rider. To avoid any kind of motorcycle accident, be smart and always wear a helmet, whether it’s state law or not; don’t drink and ride; and just be sensible and be hyperalert about your surroundings, careful to be on the lookout for distracted drivers. If you follow these tips, you’ll enjoy many more years of good riding. Very important to follow all these to be safe.